The North of England is full of magnificent cities, unsurpassed countryside and homes full of period charm at prices which will make the eyes of buyers from Down South turn green, as Eleanor Doughty explains. From Sheffield northwards, the countryside blossoms – the skies are wide, the air fresh. Northern cities – once the drivers of the Industrial Revolution – have so much to offer. And in the open spaces in between are honeypot villages nestled in hillsides and elegant market towns. Welcome to the North of England. ‘Manchester is seeing more and more brands that you associate with London, such as the Ivy and Hawksmoor, and Dishoom is opening later this year,’ says Julian Cotton of Cushman & Wakefield. In the Northern Quarter, Affleck’s Palace, an ‘emporium of eclecticism’, stocks everything from tarot cards to graffiti paint; not far away, at Salford Quays, is the ever-popular Lowry and, across the water, IWM North. For outdoor pursuits, the National Trust’s Formby Beach is an hour from the city, as is the Peak District in the other direction. ‘You don’t have to be on a train for more than 10 minutes to get to the country,’ says Mr Cotton. When it comes to commutable country living, the Saddleworth villages hit the spot, between Manchester and Huddersfield. From the sweetly named Diggle, one can follow the Huddersfield Narrow Canal to the Standedge Trail, which tracks across Marsden Moor in the Pennines. A four-bedroom farmhouse with 11 acres, tennis court and solar farm is on the market with Bridges for £1.49 million, close to Greenfield station. ‘Gastronomes are spoilt for choice,’ says Ed Stoyle of Carter Jonas of a city where the Ivy has recently set up shop. Food aside, the Minster is open daily and walking the city walls rarely disappoints. York is museum central, with the Viking Jorvik Centre, the National Railway Museum and York’s Chocolate Story tour, among others. Appealing York-adjacent towns include Malton, on the edge of the Howardian Hills, with pastel-coloured houses and a monthly market. Nearer to town, villages such as Tockwith, Bilbrough and Wighill are ‘growing in demand,’ says Nick Talbot of Jackson-Stops. In Wighill, Jackson-Stops has a five-bedroom farmhouse with equestrian facilities and three acres, for offers over £1.4 million. Further east, Durham and Newcastle-upon-Tyne compete to be the top north-eastern city. Newcastle’s Grainger Town is a Classicist’s delight, with sweeping, elegant Grey Street and Dean Street particularly fine examples. Seaton Delaval Hall, Vanbrugh’s Baroque masterpiece, is on the coast 30 minutes from town and you can ride the Metro to Tyne-mouth Priory ruins. In Durham, meanwhile, you can expect olde-worlde cobbled culture and, every June, the Durham Regatta, the ‘Henley of the North’. The village of Shincliffe, in a conservation area, offers a charming pace of life, says Melissa Lines of Savills. ‘You can walk along the river right into Durham.’ Outside Newcastle, towards the North Pennines AONB, villages including Wylam – home to the micro-brewery – Ryton and Ovingham are packed with period properties. 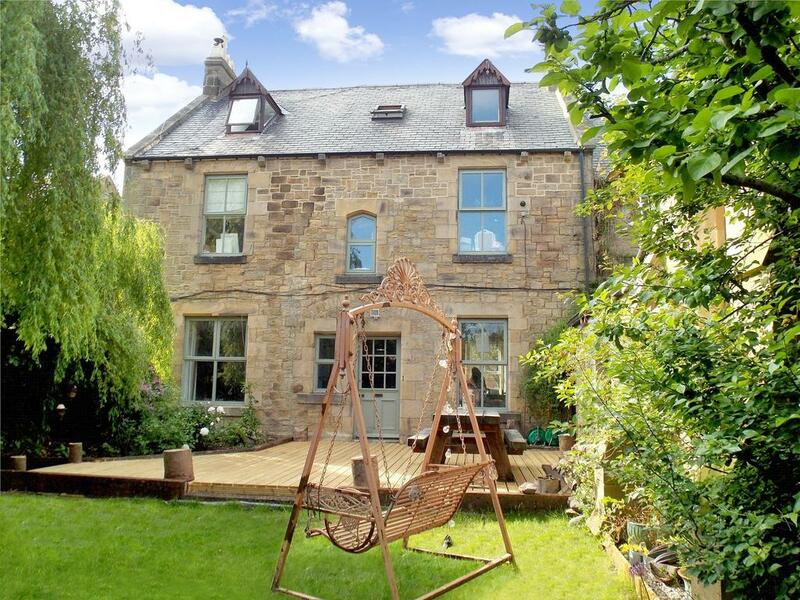 In Ryton, The Old Manse, with seven bedrooms and close to Wylam station (only 20 minutes to Newcastle) is on with Fine & Country for £575,000. For Beatles fans, Liverpool is obviously the place to be, but there’s plenty here for others, too. The Albert Dock, Museum of Liverpool, Tate Liverpool and Walker Art Gallery delight, as do both 20th-century cathedrals (one Anglican, by Giles Gilbert Scott, the other Catholic, bizarre-looking and nicknamed ‘Paddy’s Wigwam’). Over the water on the Wirral, villages such as Meols and Caldy – mentioned in the Domesday Book – are popular. 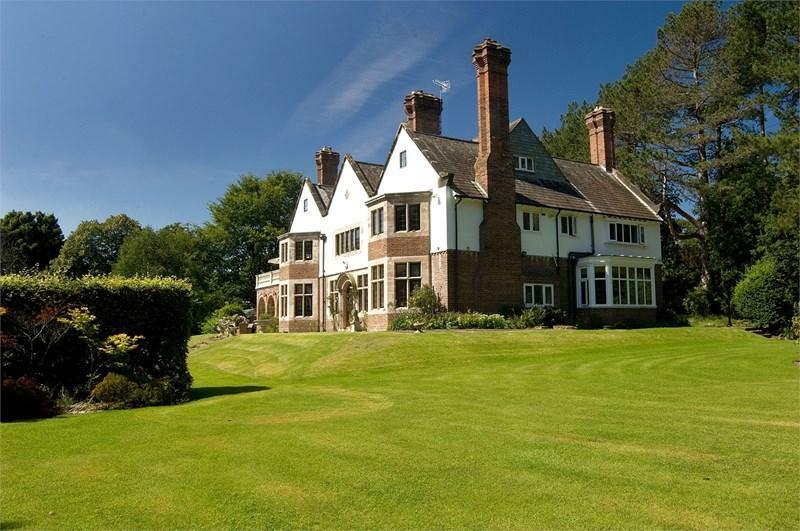 The latter is full of substantial family homes, including an eight-bedroom Edwardian property, with Move Residential at £1.99 million, close to West Kirby station. In Carlisle, there’s a 12th century cathedral, a castle and the start of walks along Hadrian’s Wall. Explore Tullie House Museum and Art Gallery and stop at 360-acre dairy farm Orton Grange, five miles from town, for swimming and shopping. If trains are your thing – and even if they’re not – the Settle-Carlisle railway is one of the best routes in the world, passing over ‘Harry Potter’-esque viaducts. With stops at Appleby and Ribblehead, it’s not only a nice day out, but a charming commute; the properties on the line are unreasonably pretty. 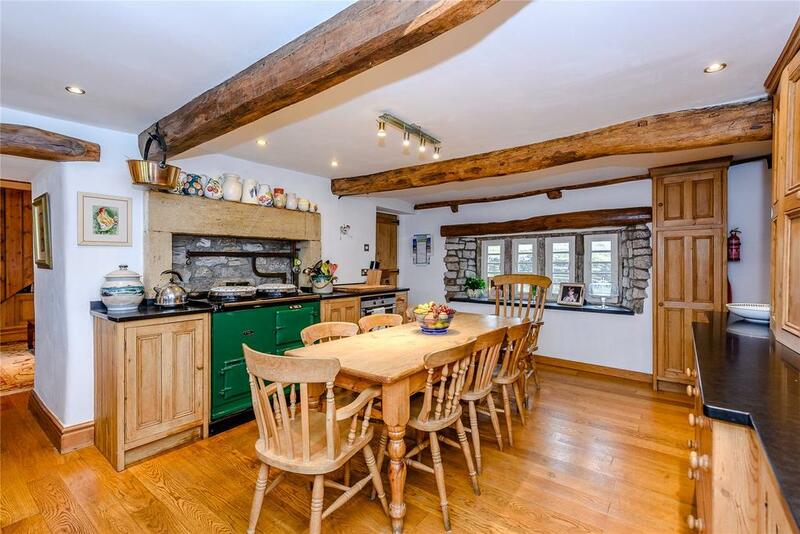 Savills offers a five-bedroom farmhouse with two acres in Selside, 2½ miles from Ribblehead station, for £695,000. 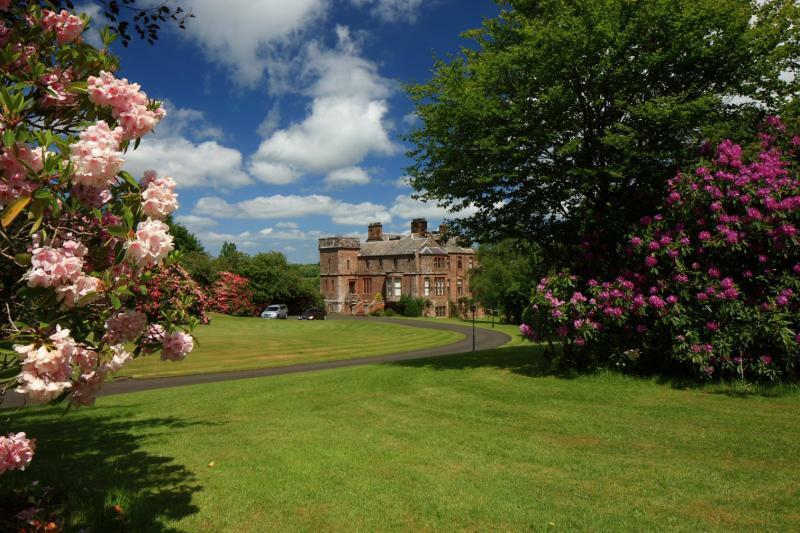 There’s also Robgill Tower, five miles from the runaway-wedding town of Gretna just north of the Border, on the market with Galbraith for £1.9 million. The Victoria Quarter in Leeds is the most characterful of shopping venues and, along the canals, there’s plenty of opportunity to eat, drink and be merry. West of the city, in Brontë country, is the market town of Hebden Bridge. Its community is culture central for West Riding, with a spectacular antiques shop – now housed in the Old Police Station – and Shakespearean performances. Harewood House is only nine miles outside town, Roundhay Park with its pretty rose garden is even closer, while the Brontë House at Haworth is also within easy travelling distance. 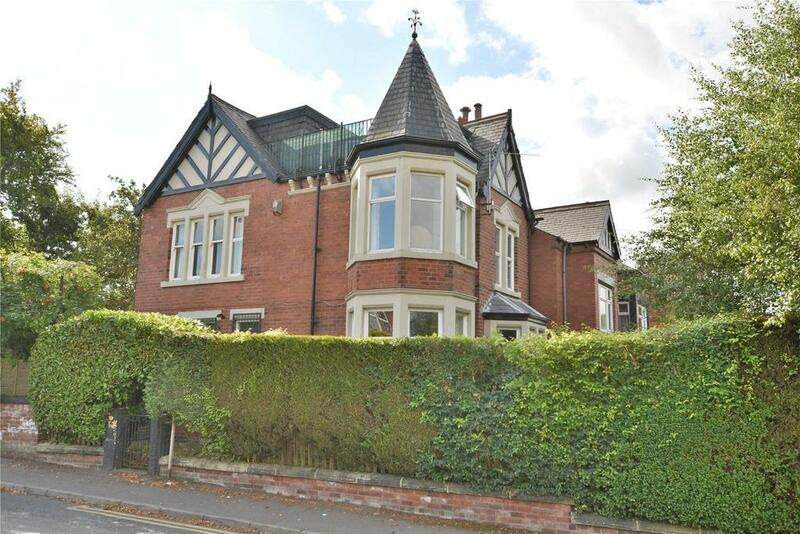 Just £500,000 is all you need to buy a sprawling, five-bedroom detached house with roof terrace in Roundhay, for sale with Manning Stanton. And they said it was grim up north. What do they know?